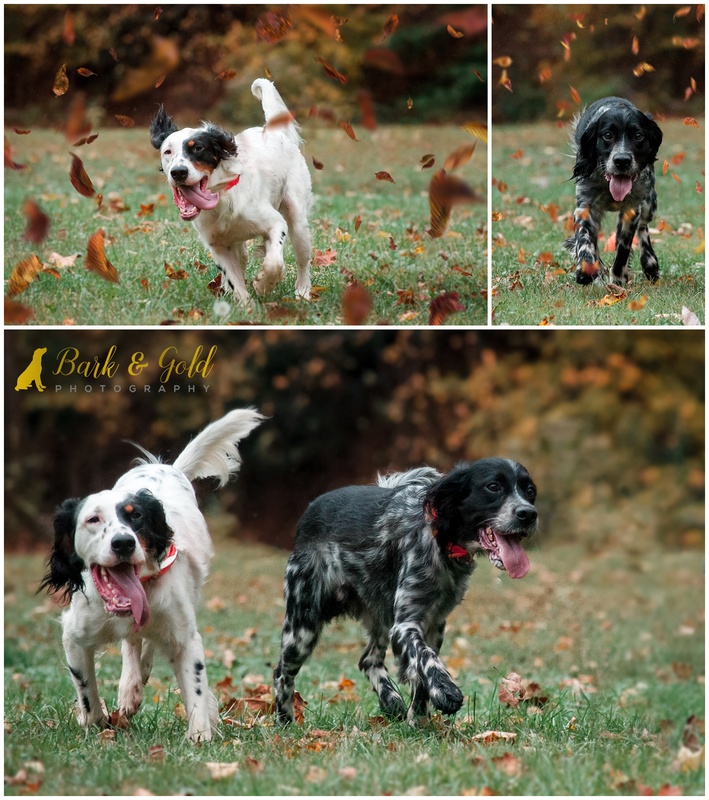 English Setters are often described as “the gentlemen of the dog world” with their friendly, carefree, and good-natured disposition. Anna and Patrick’s boys, Ace and Odie, were no exception. Anna described their boys as very active and eager to please, especially Odie, explaining that “Odie has been a ball of energy since he has come home with us. Our home and hearts are full with our dogs by our sides. They always want to make their owner happy.” I’ll say! Can you believe these are some of their first shots of the session?! Anna and Patrick were such fun and were up for anything I proposed, from climbing down a few small embankments to climbing under a stone footbridge through a creek. After all that posing, I suggested a few running shots to let the boys burn off any leftover energy. These images really highlight Odie’s boisterous pawsonality. As he did for most of the session, Ace went along for the ride in his own laid-back way (but I think he secretly enjoyed his rambunctious run with Patrick at the other end of their leashes). Patrick and Anna, thank you for a fun session with your dynamic duo! I look forward to delivering your beautiful prints to you! If you would like to book a Bark & Gold Photography session for your pet, click here or give me a call at 724-913-BARK (2275). 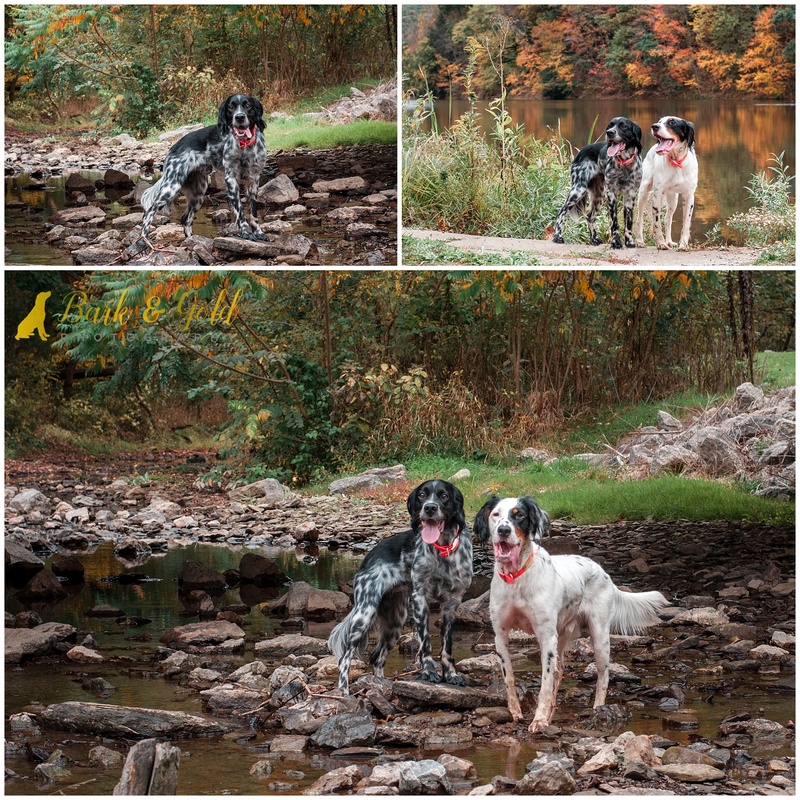 For more information on Bark & Gold Photography sessions, visit “Your Session” in the menu.